I stopped at the Cooler Master booth at Computex 2014 to get a tour of the latest products, and pretty soon I was being whisked away to a private room where they had some of their upcoming products on show. Unfortunately there was a strict no photography policy in the room, but I did get to see where Cooler Master is headed in the future. 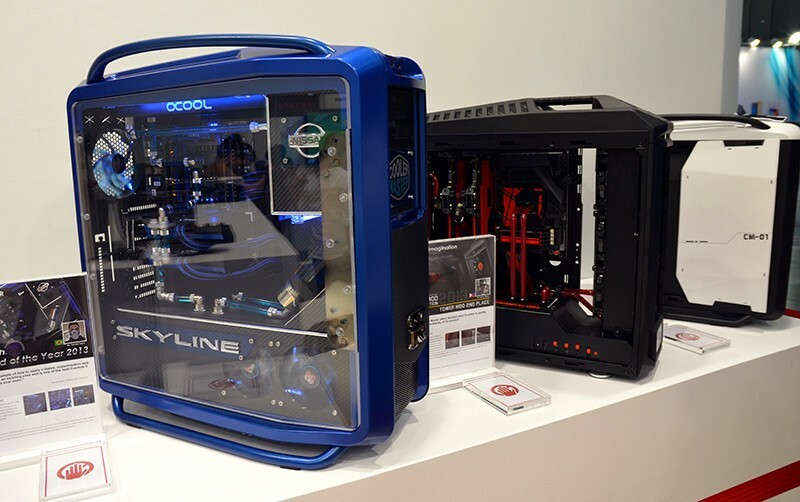 Cooler Master no longer wants to be the company associated with aggressive gaming-style PC cases (as seen above), instead looking towards producing a range of more slick, stylish and sensible enclosures. Some of the prototype designs I saw in their VIP room looked fantastic, making great use of minimalist aluminium panels, and it's a shame I can't show you what some of them looked like. The company will still sell cases with a typical gaming-oriented look going forward, but they're looking towards establishing their brand in the more premium case market, where you can find slick designs from Corsair, Lian Li, Antec and others. And from what I saw, Cooler Master will have some seriously compelling products on the market in the near future, still with their signature cooling performance. In the same room as Cooler Master's upcoming cases, they were also showing off a prototype power supply with a remote monitoring application. The Digital 1200 PSU, which is 80 Plus Titanium rated and capable of 1200W of output, comes with a remote app that you can open on your smartphone during gaming sessions, allowing you to monitor power usage and associated costs. The PSU is still being worked on, so there's no word on when Cooler Master will release it to the public, but there are some exciting things to look forward to from the company.